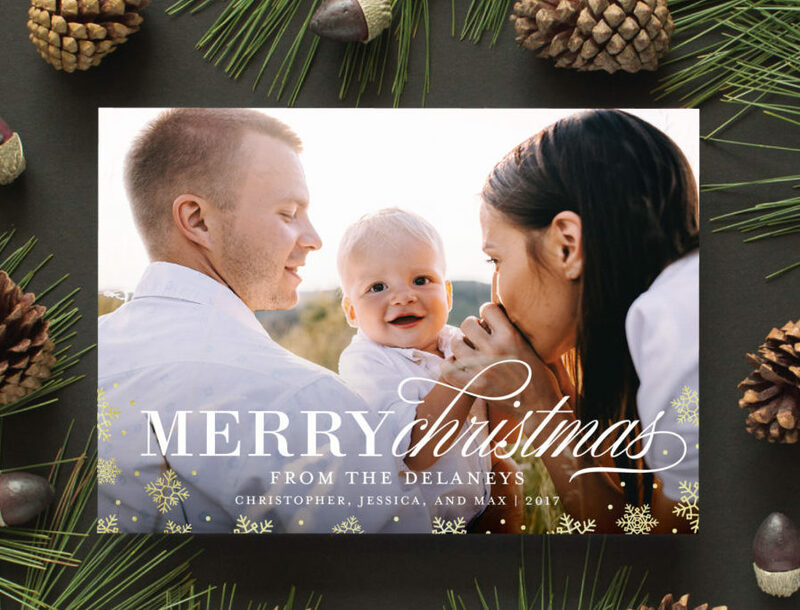 When you order Christmas cards from Banter & Charm, you’re getting more than just paper and ink. You are receiving one-on-one service from a real person – me, Sarah Brown! From the initial inquiry to the moment you receive your stationery, I will cheerfully answer any questions and offer guidance every step of the way. Whether you can’t decide on a photo, you need advice on colors, or you just don’t know where to begin, I’m here for you. I personally prepare a digital proof for every order. You don’t have to fumble with clumsy online customizers and cross your fingers that your cards will print the way you intended. I’ll email you a mock up of your chosen design, personalized with your photo and names. I can even show you more than one photo, and let you decide which looks best! 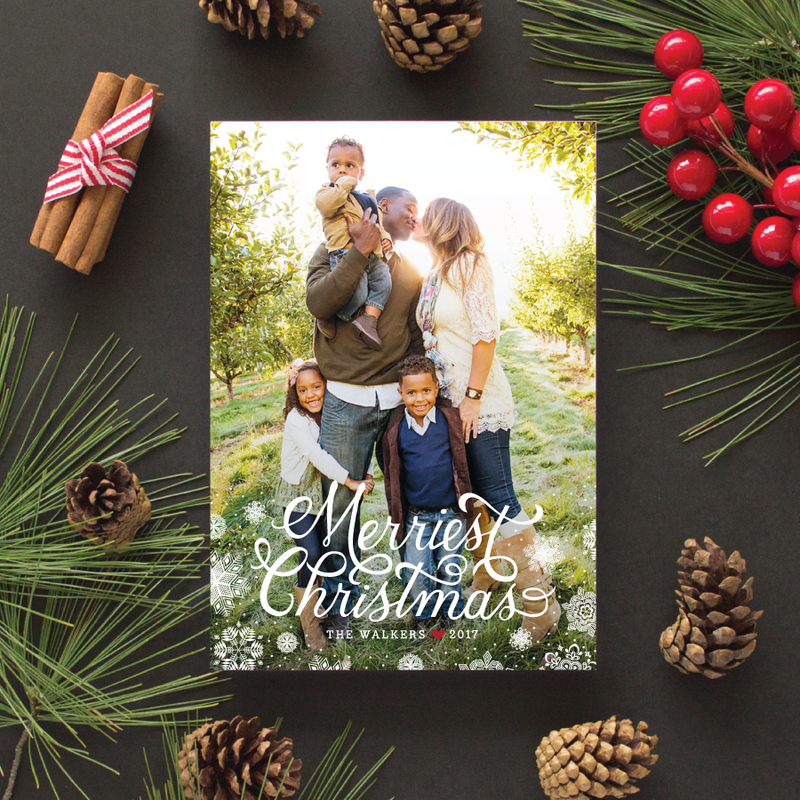 Your holiday cards aren’t printed until you love the way they look. I can also print your envelopes to make mailing a breeze! All you need to do is stuff, seal, stamp, and send them on their way. With flat printing (also know as digital printing) ink is transferred to paper by a digital printing press. The ink lays down flat on the paper leaving a smooth finish. The resulting design can feature an unlimited number of ink colors, making it the perfect choice to reproduce multi-color designs or cards with full color photographs. Banter & Charm’s holiday collection includes designs that feature real foil stamping along with flat printing. Choose from gold, silver, rose gold, copper or red for the foil, and unlimited inks for the flat print portion. Foil stamping uses a heated die is to press a sheet of thin metallic foil to paper. The resulting design will have a shiny finish – perfect for a brilliant gold or shimmery silver. Foil portion is not editable. Upgrade to a custom foil + flat print design for a $175 fee.